Frankarchitecture has always been interested in the the insertion of new architecture in older contexts and how nature can be incorporated in and around buildings. 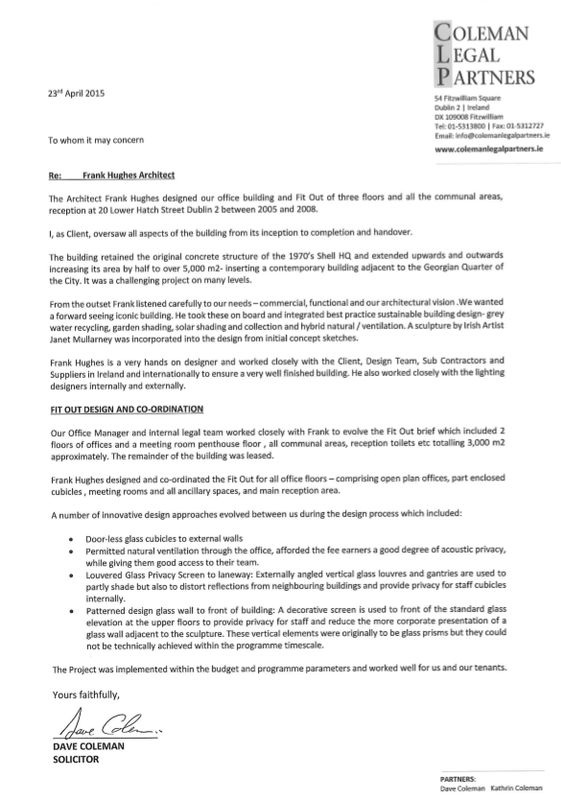 What excites us is the challenge of interpreting the functional requirements of the design brief to make strong and meaningful connections with the building’s immediate context. We respond to our Client’s brief, budget and context with enthusiasm and tenacity and bring elegant contemporary design solutions to each project. Expertise I am an architect with over 30 years’ experience in Ireland , France, the UK , and the West Indies. My skills include the design and design management of diverse project types varying from Urban Design Master Planning , Office Buildings , Shopping Centres, Apartment buildings to private houses. I have much experience working efficiently with both Irish and International multi-disciplinary design teams and project Clients through English and French. My experience ranges from design of individual buildings and their interior Fit Out, to Project Management, leading other design professionals , administering building contracts and collaborating with craftspeople. I have travelled extensively and designed buildings to respond to different climatic , cultural and regulatory environments in Europe, the West Indies and Middle East. My particular interest in contemporary design responses to sensitive historic environments has led me to be involved in a number of high profile heritage projects in Ireland and the Middle East .I was elected to the Board of the Dublin Civic Trust, a charitable Conservation Trust in 2010 where I have assisted with business planning and their APP development for Dublin City and key reports / activities. . Other specific expertise includes the forensic investigation and reporting of completed construction work for the purposes of litigation and aerial photographic survey work. National College of Art and Design – Gradcam Doctorate Programme Contributor to multidiscipline team on PhD doctorate – Creative Cities Doctrine by Tara Byrne. Dublin Civic Trust – Seminars presentedHistoric Shopfront Design as part of Conservation Professional Development Programme /The historic urban core of Limerick and development opportunities and challenges into the future. 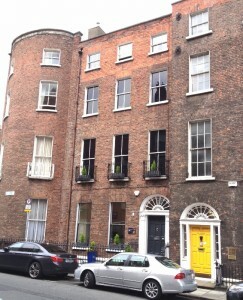 /Contributor to DCT working report on Thomas Street Dublin and its significance / potential for the capital.